It's a sobering thought. That a man of such humble origins can become a personality of such overpowering influence in the minds of millions of others. Such power, in misguided hands, can lead to unpalatable scenarios, and the twentieth century witnessed such tragedy far too often. We must be thankful that Bill Shankly possessed neither the political nous, nor the latent evil of a Hitler or a Stalin. Born in the Ayrshire mining village of Glenbuck, where conditions were harsh, Shankly was however certainly subjected to the workings of grass roots politics. Keir Hardie, one of the founding members of the Labour party, was chipped from the same Ayrshire coal seams, but for Bill, whilst never losing sight of his humanitarian socialism, football not politics was to be the life's devotion. 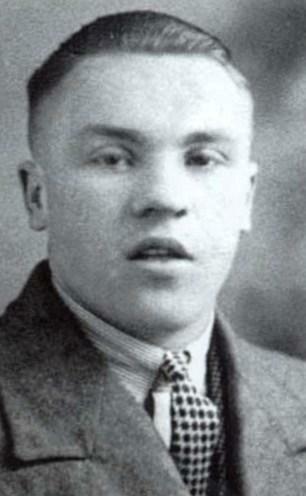 Like 49 of his fellow villagers straddling the latter part of the 19th and the early years of the 20th century, Shankly became a professional footballer. Football in Glenbuck was the elixir of life, a blessed relief from the toil of the mineshaft. In 1932 he signed forms with Carlisle United and, within a year, had moved onwards and upwards to Deepdale, home of Preston North End. A distinguished playing career that brought 7 caps for Scotland was cruelly interrupted by war in 1939. When the 1946-47 season kick-started organised professional football again in England, Shankly was 33 and rapidly coming to the end of his playing days. He decided quite simply that he would become the greatest football manager of all time. However, by the time the chairman of Liverpool, T.V. Williams appointed Shankly manager of the club in December 1959, Bill had been a manager for over a decade with precious little in the way of success. He had started his managerial career at the club which had given him his chance in professional football 17 years earlier, Carlisle United. A roller coaster trip of northern clubs took him to subsequent spells at the helms of Grimsby, Workington and finally Huddersfield, where he granted a debut to an upcoming 16 year old called Denis Law. Disappointingly, Shankly appeared prone to falling foul of the boardroom at each of these clubs as he never felt they gave the same committment to team affairs as he did. He had walked out on Carlisle, and Grimsby citing a lack of financial committment on the part of the directors and often felt exasperated by people who simply didn't share his passion for the game. It was Shankly's own committment and enthusiasm that had first intrigued T.V. Williams years earlier when Bill had been interviewed for the vacant Liverpool job in 1951. Back then, it was felt he wasn't a big enough name for the club, and somewhat lacking in experience, but this time Williams knew instinctively that Shankly and Liverpool were right for each other. It's hard to understate the ordinariness of Liverpool's position in 1959. Languishing in the old second division, with a crumbling stadium, poor training facilities and a large unwieldy playing staff, the challenge facing Shankly was enormous. Liverpool's, and his, good fortune, was that in Bob Paisley, Joe Fagan, and Reuben Bennett, the club had an experienced and resourceful backroom staff. The addition of Shankly was the catalyst they needed to grow and blossom into their natural roles at the club. Slowly at first, and then with a gathering pace, Shankly and his backroom team turned Liverpool around. The Anfield crowd sensed the change. Gates regularly topped 40,000 and promotion was quickly gained back to the first division. The supremacy of Everton in the city of Liverpool was the first target for Shankly now that he had got the club back into the top flight and in season 63-64, Everton handed over the league championship trophy to their neighbours as Liverpool clinched their 6th title. Battle was joined, and between them, Liverpool and Everton did as much the Beatles and Gerry and the Pacemakers to put Liverpool on the world map in those fab years of the mid 1960s. The training ground at Melwood, in a terrible state in 1959, was transformed into a top class training facility. Shankly introduced the five-a-side games that so defined his football thinking. Pass and move, keep it simple, a creed taken from the daily matches played by the miners of Glenbuck all those years ago. He introduced a new routine whereby the players would meet and change for training at Anfield and then board the team bus for the short trip to Melwood. After training, they would all bus back to Anfield together to shower and change and perhaps get a bite to eat. This way Shankly ensured all his players had warmed down correctly and he would keep his players free from injury. Indeed, in the 1965-66 season, Liverpool finished as champions using just 14 players and two of those only played a handful of games. The first F.A. Cup win in 1965 was followed by magical European exploits across the continent as Liverpool established a passing style that became the envy of the watching football world. Amidst all this, stood Shankly, orchestrating events at Anfield, at one with the fans. He was perfectly in tune with the Kopites, knowing and understanding how they felt about football and the pride a successful team gave them. And always, he would remain in touch with his working class roots. His would tell anyone who cared to listen that his lads played to a socialist ethic. If a player was having a poor game Shankly would expect a team mate to cover for him and bail him out like you would do for a neighbour or a colleague down the mine. All for the greater good of the team. The fans on the Kop understood the simple philosophy. The decline of the great 60s team saw the birth of Shankly's second great Liverpool side. Out went Hunt, St. John, Yeats and Lawrence, and in came Keegan, Heighway, Lloyd and Clemence. Success followed success. A first European trophy in 1973 (the UEFA cup) was won in tandem with the club's 8th league title. In 1974, the F.A. Cup came back to Anfield after a breathtaking Wembley performance against a hapless Newcastle United. Then came the shock resignation, on 12th July in that summer of '74. 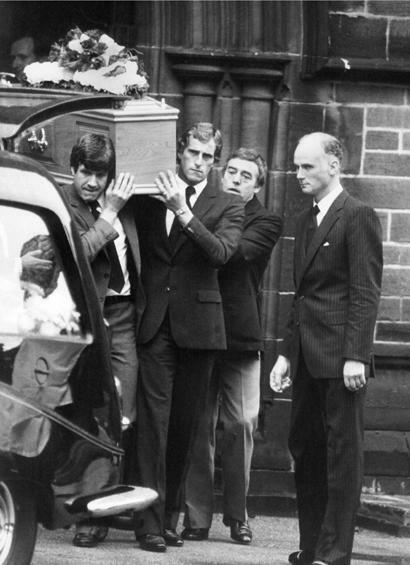 Shankly was 60, and wanted to spend time with his wife Ness and their family. That he left the club in such capable hands speaks volumes for the man. The bootroom staff, now joined by ex-players Ronnie Moran and Roy Evans, got behind new manager Bob Paisley and the club went on to even greater glories in the years that followed. There is no doubt that Paisley's era as manager was more fruitful than Shankly's in terms of trophies won. Also, it seems fair to speculate that much of what Shankly achieved would not have been possible without Bob Paisley's calm influence and knowledge of the game. But it is equally likely that without the driving force and sheer charisma of Shankly, Liverpool's spell in the doldrums in the 1950s would have reached long into the 60s and perhaps even further and Bob Paisley may never have become manager at all. That the club contrived to bring them together at all in those dark post war days, the fans will be forever grateful. Shankly died on 29th September 1981 after suffering a heart attack. The front page of Echo read: SHANKLY IS DEAD. It recorded the official hospital statement: "Mr Shankly suffered a cardiac arrest at 12.30 am and was certified dead at 1.20." Shanks had been battling for life since he suffered a heart attack early on Saturday morning. He had been making good progress until his condition deteriorated yesterday morning and he was transferred to the Intensive Care Unit. His wife Nessie was by his side when he died." In the years following his resignation, to the disbelief of the fans, relations between him and the club he so loved had become somewhat strained. There was no such problem on the terraces. When Liverpool played Oulu Palloseura the day after his death, The Kop sang: "We all agree, call it the Shankly" supporting the suggestion of making one of the Anfield stands a Shankly memorial. Through the second half, the Kop simply sang "Shankly" to the tune of Amazing Grace. A banner in the middle of the crowd summed up the feelings of every Liverpool fan: "King Shankly lives".